Nate has found a way to develop a Gigadrone Warning System. Devon asks him for some Morph-X for some model rockets. Ravi goes first and his works great. The Burke Sibs give theirs a try, but it almost kills them. But not as bad as if their father kills them for taking his rocket. They chase after it. Devon goes next with his unique looking rocket. It blasts off, but crashes back down. Ravi suggests Devon designed it wrong, but Devon snaps back at him. Back at GBHQ, Commander Shaw observes as the Rangers are doing a megazord combining simulation. But Devon makes a tactical error and they fail despite Ravi making a suggestion that would’ve avoided the mistake. Devon again takes offense to Ravi and he walks out. Commander Shaw follows him out and asks what’s happening. She says he should listen to his teammates, even if he’s the leader. Especially since they are more experienced. Devon says he relies on his instincts. But Commander Shaw says he should continue to do so AND also listen to his team. Meanwhile, the Burke Sibs arrive at the Special Ops Hangar. Their dad’s rocket is nearby and they retrieve it from the tree. Just then, they spot Roxy arriving at the hangar door. They call Commander Shaw and try to sneak away with the rocket. But Roxy seems them and shoots. The shot hits the unfired engine and the rocket blasts off with them tied to it. Scrozzle sends Meltatron to melt the door to the hangar open. Roxy heads in and finds the Gigadrone. Devon, Ravi and Zoey arrive as Roxy fills the Gigadrone with Morph-X. The Rangers morph and they battle. But the refueling is complete and Slicerdrone comes alive. Roxy ties the Rangers up and leaves. The hatches are closing and they are about to be trapped. But Ravi thinks quick and hurls Devon out the closing hatch door. 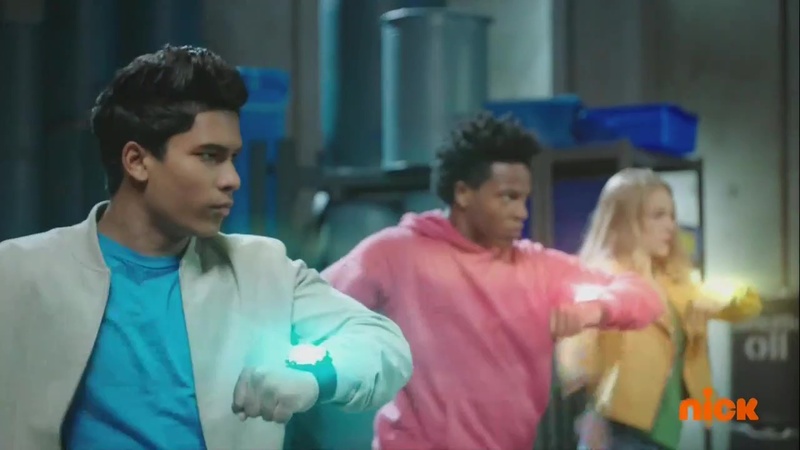 Ravi tells Devon to use his zord to open the hatch and defeat Slicerdrone. He teleports back to the Cyber Dimension and tells Roxy how the Red Ranger wasn’t in the hangar. She tells him to quickly send another Gigadrone. Scrozzle sends Meltadrone to right where Devon and Cruise are trying to open the hangar door. 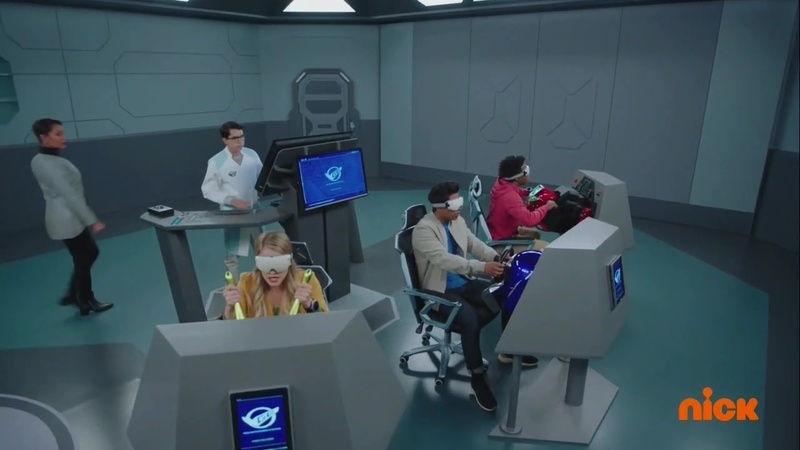 Commander Shaw orders Smash and Jax to hop into the zords and help Devon and Cruise. Ravi and Zoey destroy Meltatron, but Slicerdrone is still active. Devon and Cruise are able to lure Meltatron into melting the hangar door. That allows Ravi and Zoey to escape and hop into their zords. The Rangers have to face two Gigadrones so they decide to combine into a Megazord for the first time. 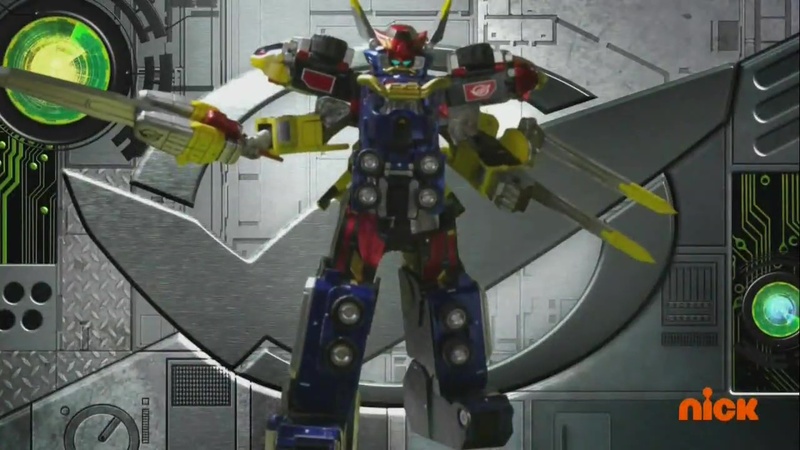 They successfully combine into Beast-X Megazord. With a Beast-X Hyper Strike, they destroy both Gigadrones. Over in the Cyber Dimension, Scrozzle tells Evox that he has enough parts to build “that thing.” Blaze threatens Scrozzle into telling him what “that thing” is, but Evox tells them to stop being failures instead. 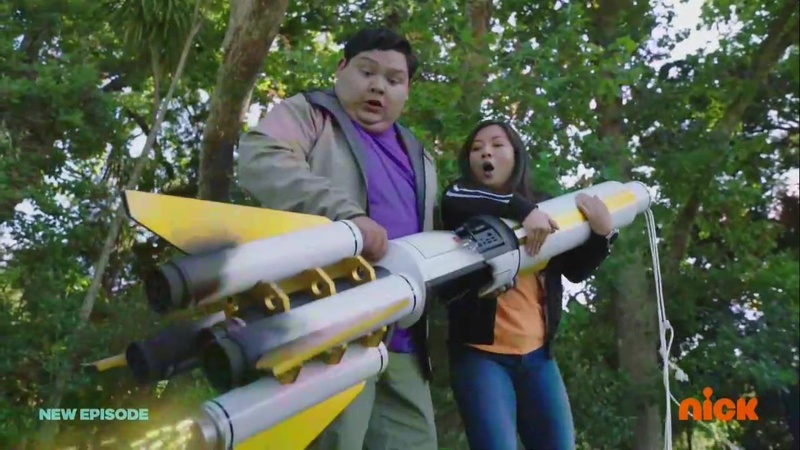 Meanwhile, the Rangers surprise the Burke Sibs with their father’s rocket. Devon and Ravi worked together to do fix it. Devon apologizes to Ravi and says he will listen to him from now on. The Burke Sibs launch their father’s rocket. So it was relatively solid episode with lots of original footage. It was still kind of slow though. And the teamwork plot of it felt a little too forced. Of course, we need the teamwork episode every year, but this one really felt contrived considering they’ve been a pretty great team so far. I’m certainly more interested in seeing how they use Scrozzle to introduce the Beet J. Stag counterpart. That’ll certainly be different from Go-Busters. Um… excuse me. No. They are not pets. They are the Rangers’ partners and equals. In fact, the Rangers wouldn’t be able to pilot their zords without their “pets.” And these “pets” actually can pilot the zords WITHOUT the Rangers even. So no thank you for your tweet Power Rangers social media intern. But back to this episode. It was alright. I think the very technical nature of really explaining everything and giving reasons for everything is a nice creative decision and can help make things a little more serious and grounded. But at the same time, maybe they should lighten things up a bit and just be a little more fun. There’s a delicate balance to be had. Recent seasons have chosen to ignore logic and focus on simple fun. 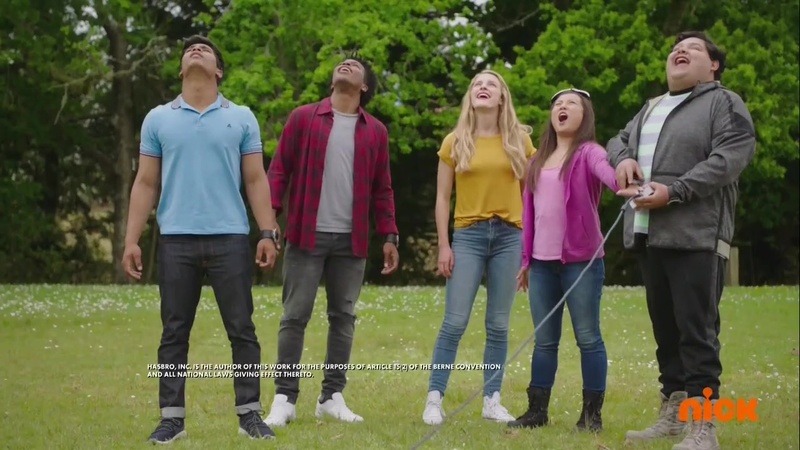 Beast Morphers has leaned a little more towards trying to be more grounded. But they’ve kind of lagged in the fun aspect. So hopefully they can find the right balance moving forward. ← Recap: Kamen Rider Zi-O, Episode 30 – 2019: Trinity Has Begun! Oh my, can Scrozzle and Evox use the Beet J. Stag for evil first like in Mighty Morphin with Tommy? That would be interesting! It was nice to see the first Megazord batlle. But for me, the most important moment was when Commander Show gave a valuable lesson for Devon. I wonder who the new teammates will be. It was a cool episode. The teamwork lesson didn’t feel forced to me. After all, up until now, Devon took care of all the Gigadrones by himself, so he kinda felt offended when he got advice from someone who didn’t look like to have any experience facing Gigadrones. I can’t wait to see Scrozzle’s plan. Devon got offended first about the rockets because he felt like as a video gamer, he knew the most things. Even though Ravi obviously has more experience being trained at Grid Battleforce than Devon. Devon was in a really bad mood all episode long. Doesn’t excuse him suddenly being offended by his teammates when he was a great team player the last few episodes. Considering how Devon seems to have gotten along with is teammates so far, this was a little jaring but I just assumed that was because of the Sentai footage they used. Hm. And what is Scrozzle planning? They could’ve found a different story if it was the Sentai footage though. 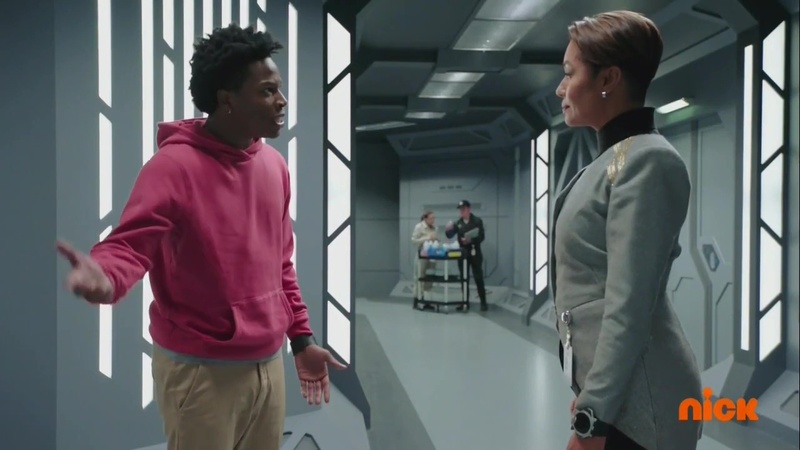 Before the review, I apologize for mistake I made previous episode, regarding Ravi and Commander Shaw (mother) relationship. My mistake. Now to episode. Nice reference to NASADA (space program) from Turbo and Space! An interesting throwback from previous seasons. I like how this season have strong continuity, where this episode takes place after the previous, where Nate is developing a Gigatron Warning System, from Gigatron they captured (whole) from previous episode. I also forgot to mention that X-Bike from episode 3 were briefly shown previous episode as well. Ben and Betty schtick was OK.
It’s nice that they reported to HQ immediately when they spotted Roxy. Not surprised that Gigatron that ranger captured was going to used for something this episode (bomb!). Grid Battleforce really should have thought closely before taking the ENEMY robots back to hangar; they could have disassembled FIRST then assemble at the base. I understand they wanted to study it as WHOLE, but still minor nitpick. Interesting to see “Scrozzle’s Shopping Spree” during the mayhem at hangar. 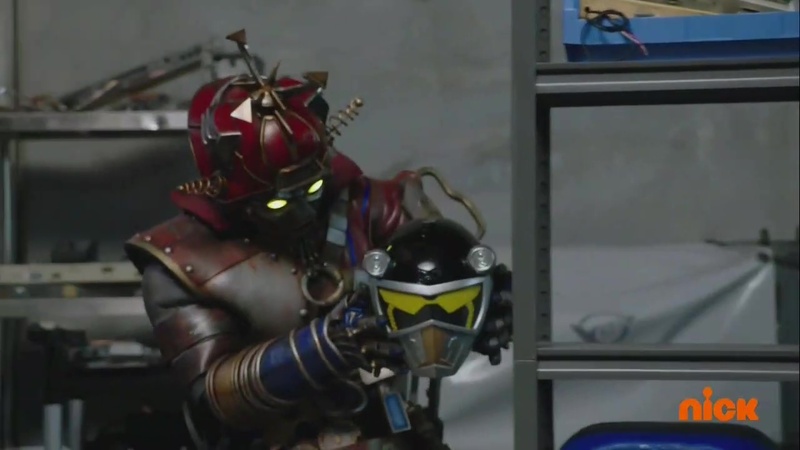 Nice to see him stealing all sorts of parts and materials, including Beet J Stag/Silver Ranger head, which I did not see it coming (it was also shown briefly in previous episode). I’m curious how Stag would turn out once Scrozzle finishes it. I like how Scrozzle is resourceful and have more allegiance towards Evox than Blaze and Roxy. It’s interesting to see there are split among enemies; Blaze/Roxy (Original Candidates for Rangers) and Evox/Scrozzle (non-human PR exclusive villains). I agree regarding teamwork aspect being weak this episode; it did felt bit forced and contrived. Devon being frustrated was odd, since he was never meant to be leader. It was nice to hear Commander’s Shaw advice being more useful than previous episodes. Overall, I thought this episode was good. While I didn’t care too much about teamwork plot, I was more interested with villain (Scrozzle) plot than ranger, which is kind of interesting to see in Power Rangers these days, where most of villains were forgettable and useless in previous seasons (Neo-Saban Era). Looking forward to see how J turns out. I agree. I would like to see more of Scrozzle vs Blaze/Roxy. It’s interesting to see real tension between the villains.